Today, in a Facebook Live stream, the Pitchfork Music Festival announced its 2017 lineup. It was done in a way designed to test the viewers’ patience, as Chicago-based artist Shelby Rodeffer started painting names on a wall before finally posting the festival’s name after 45 minutes. 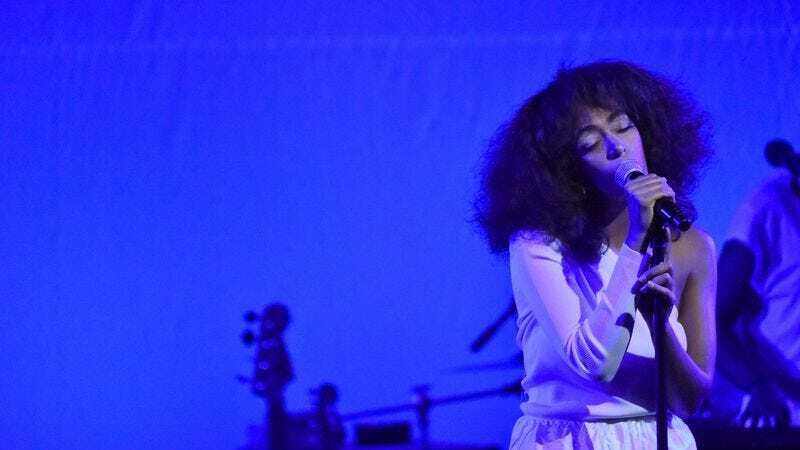 That said, before Rodeffer could even unveil the names of the fest’s headliners, a Ticketfly email was sent announcing that Solange, A Tribe Called Quest, and LCD Soundsystem would be headlining the festival. Rodeffer is still going, with plenty more to be learned about the fest’s lineup, which we will update as the paint dries.